This week, Gotham wisely delegates much of the focus on the aforementioned Court of Owls, which actually gets more screen time here than perhaps it ever has in a single episode. As Gordon (Ben McKenzie) represents the audience surrogate in dealing with the city's growing super-villain infestation over each respective season, it stands to reason that he would serve as an entrance into the court's world. Having joined their ranks, Gordon finally learns that the court's master plan is to weaponize the Tetch virus on the city. As much as this development effectively ties together the season, it does inevitably feel a bit too close to the League of Shadows' plot in Batman Begins. Releasing a gas that will lead to mayhem and chaos on a city-wide scale, all because Gotham needs to be cleansed? Been there, seen that. 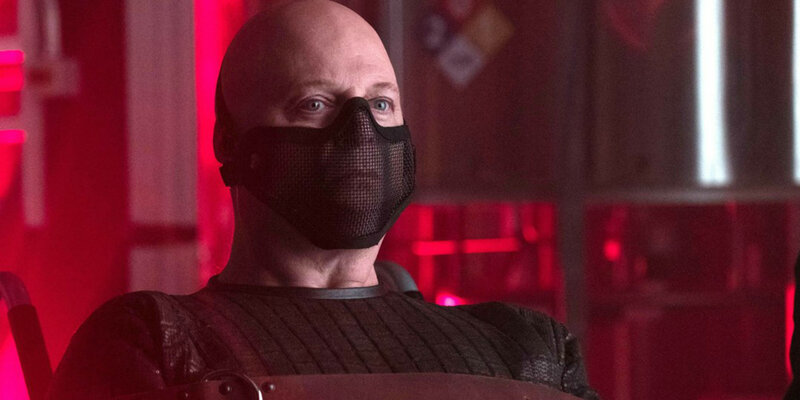 Still, as overdone as that plot device is, the Gordon/Court of Owls storyline has given viewers plenty of other highlights, including the return of Benedict Samuel's Mad Hatter and Michael Chiklis's Captain Barnes. The former is relegated essentially to a brief Arkham-set cameo here, but the latter is poised to be a formidable foe before the season wraps up. We've already caught a glimpse of the Executioner's new look, which makes the visual similarities between Barnes in this episode and Bane all the more puzzling. In any case, seeing him back -- and, of course, the sublime reappearance of B.D. Wong as Hugo Strange, having apparently saved Fish Mooney -- will certainly go a long way toward Gotham bringing all these wacky, disparate threads together in a satisfying way. Less exciting was Lee's (Morena Baccarin) frustration in wanting to know the truth about Frank Gordon's murder. Gotham is always more entertaining when it cuts ties with traditional human drama and embraces its goofy treatment of the source material. Baccarin deserves a lot better, and seeing just how far Gordon has pushed her, we wouldn't be opposed to Gotham throwing fans a curveball and turning Lee into Harley Quinn instead of Barbara (Erin Richards). Sure, Barbara is the easy choice, but both Lee and Harley are doctors. Moreover, Lee appears to be reaching her breaking point, and nothing would make Gordon brood more than his love turning into a criminal, especially if he is at least partly responsible for her turn to the dark side. Just an idea, Gotham writers. Still no confirmation that Bruce is unwittingly being trained by the League of Shadows. But we still get lots of scenes of him being lectured about how his pain and anger are holding him back and flashbacks to his parents' deaths. Though that all sounds good, Bruce's rage isn't something he should be free of. Rather, it's this pain and anger that he's destined to channel into his fight against crime. "Releasing" him from it doesn't really push him toward donning the cowl, and we suspect that the show knows that. Ultimately, he'll probably reject this teaching in favor of a more constructive way of using his parents' deaths. Until that happens, all this training does in flirt with the possibility of what Bruce will become, not lead him there. 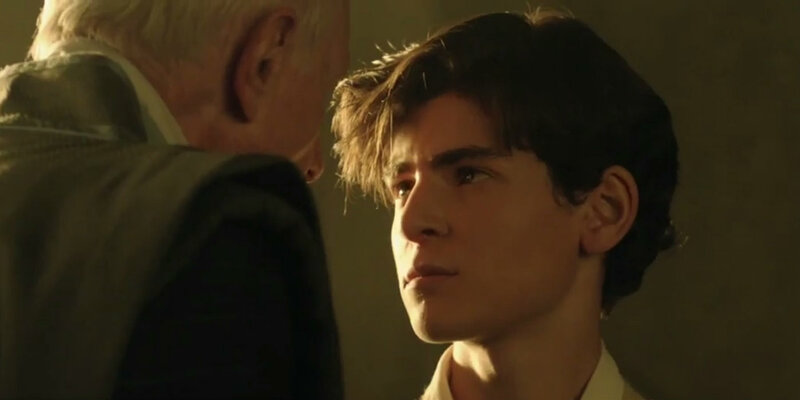 That being said, the show's reassurance that becoming Gotham's protector (an evolution that appears to be kicking into high gear next season) has to be Bruce's choice course-corrects a mild issue earlier, in which the show felt like it was pushing his destiny on him almost against his will. The flashback to the Waynes' wake and Bruce's accompanying anger over the attendees' disinterest in the deceased was a nice touch and made his decision to let go of that negative emotion very believable, though this doesn't feel like the right path for the future Batman to take. The involvement of the Court of Owls aside, we imagine that Alfred and Bruce will find a better way later in the series. Emo Bruce will then represent the darker path he could have taken. Kudos, Gotham. Unless Selina (Camren Bicondova) suddenly develops feline superpowers, the show may have just trolled its audience into thinking that Catwoman's origin would be supernatural in nature, much like the character's Batman Returns depiction. Instead, Selina has been knocked into a coma and awakes (perhaps?) due to a bunch of healing plants that Ivy (Maggie Geha) brings into her hospital room. At first, it seemed like maybe Ivy's plants would play a quasi-supernatural role in Selina's recovery, but that doesn't appear to be the case either. With any luck, Gotham will realize that Selina's arc is perfect as is. As little focus as the Selina/Ivy storyline received this week, it did deftly accomplish a few things. In addition to Selina's faux-origin, the show refreshed and solidified the friendship between the two characters, as Selina searched for Ivy when she was missing too. Moreover, Ivy's willingness to use her powers to help her friend just a week after nonchalantly joining Penguin's murderous cause shows a level of emotional complexity that we haven't really seen from her. If Selina and Ivy do join Barbara and Tabitha as Gotham City Sirens next season, the stage is set for that storyline to take place. But first, Selina is on the hunt. Watch out, emo Bruce. Gotham returns next Monday with ‘All Will Be Judged’ at 8pm on FOX.